Austrian pianist; born at Lemberg 1862; studied successively under Galath, Mikuli, and Raphael Joseffy. 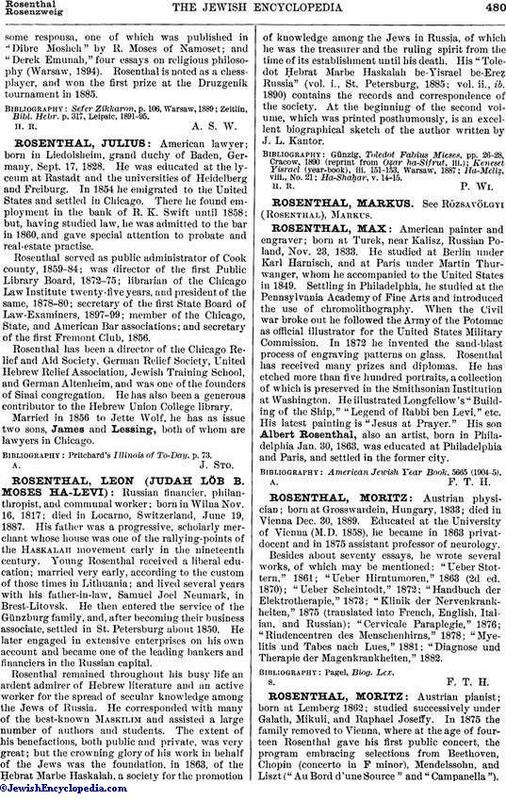 In 1875 the family removed to Vienna, where at the age of fourteen Rosenthal gave his first public concert, the program embracing selections from Beethoven, Chopin (concerto in F minor), Mendelssohn, and Liszt ("Au Bord d'une Source" and "Campanella").This concert was so successful that Rosenthal decided to undertake a series of concert tours, the first of which led him to Bucharest, where he was appointed Rumanian court pianist. 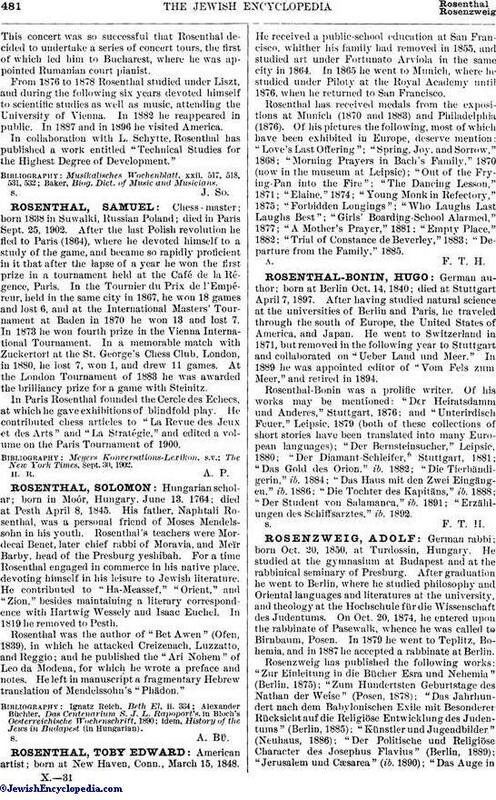 From 1876 to 1878 Rosenthal studied under Liszt, and during the following six years devoted himself to scientific studies as well as music, attending the University of Vienna. In 1882 he reappeared in public. In 1887 and in 1896 he visited America. In collaboration with L. Schytte, Rosenthal has published a work entitled "Technical Studies for the Highest Degree of Development." Baker, Biog. Dict. of Music and Musicians.